A RainSoft drinking water system can help you to enjoy crisp, refreshing water with a simple turn of your tap. If the water in your Chicago, Illinois, home has unusual odors or tastes that make it unpalatable, our advanced systems can provide you with just the relief you need. Our highly sophisticated Ultrefiner II system uses a multi-stage purification process that includes an advanced carbon block filter, ensuring that any dissolved minerals or other particles that might ruin the taste of your water never make it to your tap. 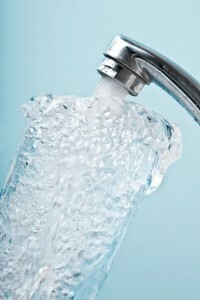 A RainSoft drinking water system can even help you save money. By providing you with an unlimited supply of crisp, refreshing water right from your tap, the need for you to depend on costly and wasteful bottled water is eliminated. Our systems are also highly convenient, installing out of sight either under a dedicated sink or further below in your home’s basement, and fully portable in the event that you ever move. Best of all, every home water treatment system we provide has been extensively Tested and Certified by independent groups such as the Water Quality Association and NSF International, ensuring that our products will perform exactly as advertised. For additional information about a drinking water system for your Chicago, IL, residence, contact your local authorized RainSoft dealer today.